Good morning and happy Tuesday to you! As you already know, Tuesday means another card with some fun tips included. 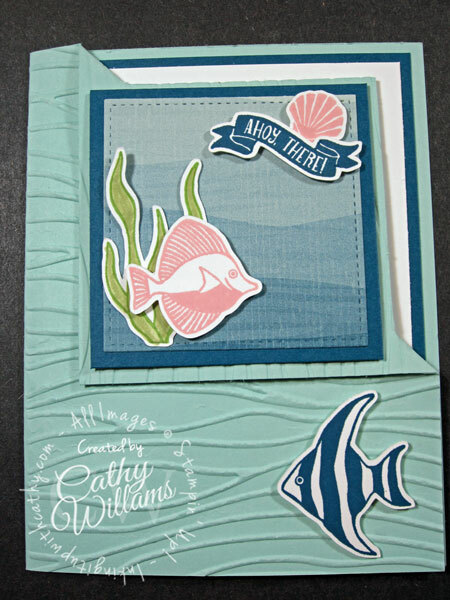 Some time ago, I participated in a swap and received a card from Lyssa Zwolanek using this fun fold. I haven't seen many of these cards so I thought I would make one up and share it with you today. I just love this Stampin' Up! set as you can tell from two cards in two weeks! 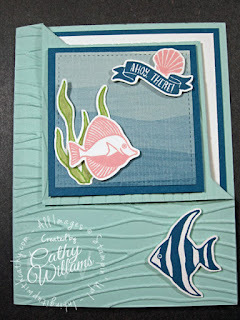 Remember to finish the inside of your cards as it gives a cohesive look. 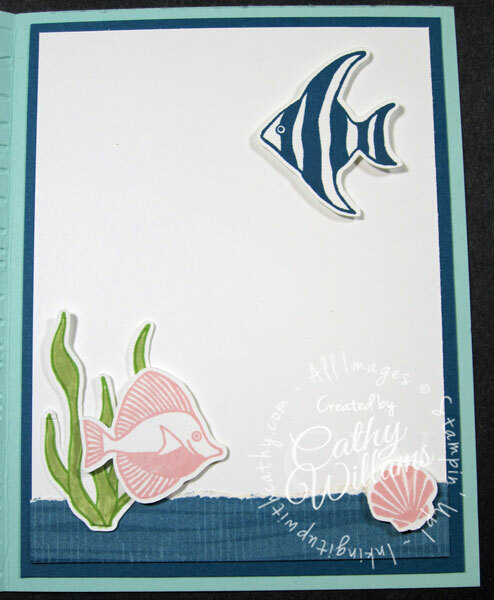 Here I used all of the same feature stamps on the inside. I left the sentiment blank for now as this card could be used as a thank you, birthday or any other occasion. When I am ready to use it, I will just grab my Dapper Denim ink and stamp the sentiment. If you are receiving this blog post via email subscription, please click on the post title to take you to this blog post where you can see and watch the video or you may click HERE to link to the video directly.